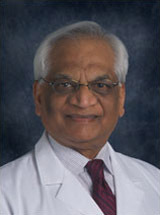 Dr. Gupta is employed by Penn Medicine. David M. Youk, MS, CT (ASCP) a *; Nirag C. Jhala, MD, MIAC1a; Prabodh K. Gupta, MBBS, MD, FIAC: Characterizing specimen quality of cell block samples in an era of personalized diagnostics: Analysis of 221 lymph node fine-needle aspirations J of the American Society of Cytopathology : 2015 (in press). meyklerR, Obstfeld A, jhalaN, VergaraN, GuptaP: Pleural Mass Forming Extramedullary Hematopoiesis Masquerading as a Malignant Neoplasm" Diagnostic Cytopathology : 2015 (In press). Gupta, Prabodh k, Jhala, Nirag: Perspective on cells: Evolution of cytopathology and the University of Pennsylvania, Philadelphia PA" Diagnostic Cytopathology 43 (2): 169-173,2015. 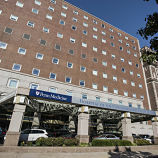 Sule Canberk, MD, Zubair Baloch, MD, Lisa Jones, MD, Vidhu Kaushik, MD, Prabodh K. Gupta, MD: Correlation of Fine Needle Aspiration with , fluoro-deoxyglucose positron emission tomography (FDG-PET) and ultrasound imaging in head and neck lymph nodes. J of the American Society of Cytopathology 4 : 246-252,2015. Shuanzeng Wei, Zhanyong Bing, Yuan Yao, Stephen R. Master, Prabodh Gupta: Higher expression of miR-182 in cytology specimen of high grade urothelial cell carcinoma, a potential diagnostic marker Acta Cytologica 59 : 109-112,2015. Daniel A. Zlotoff1, Cynthia Kelly2, Malca Kierson2, Cindy McGrath2, Prabodh Gupta2*: Case report: Metastatic adenocarcinoma of the lung with filiform “ciliated” tumor cells in the cerebrospinal fluid Case Reports in Clinical Medicine 2 (3): 147-151,2013. Elgert PA, Frable WJ, Gupta PK, Hoda RS, Meisels A, Melamed, M, Rosenthal D: Leopold G Koss (1920-2012): A multi-author tribute Diagnostic Cytopathology : 1-5,2013. Abha Goyal Nirag Jhala Prabodh Gupta : TeleCyP (Telecytopathology): Real-Time Fine-Needle Aspiration Interpretation Acta Cytologica 56 (6): 669–677,2012. He Wang, MD, PhD;1* Akshatha Rao, MBBS;2 Anthony Lafranco, MD;2, Anil Vachani, MD;2 Andrew Haas, MD, PhD;2 Prabodh Gupta, MB BS, MD, FIAC1: Cell Block Examination Is Critical for Sarcoidosis Diagnosis by Endobronchial Ultrasound-Guided Mediastinal Lymph Node Fine Needle Aspiration North American Journal of Medicine and Science 5 (4): 198-202,2012. Cynthia Kelley, Raghunath Puthiayavettil, Scott Edwards, Paul Zhang, Prabodh Gupta: Urothelial carcinoma of the renal pelvis presenting as a cervical lymph node mass and the utility of UroVysion in the characterization of this tumor. CAP Annual Meeting : 2012.